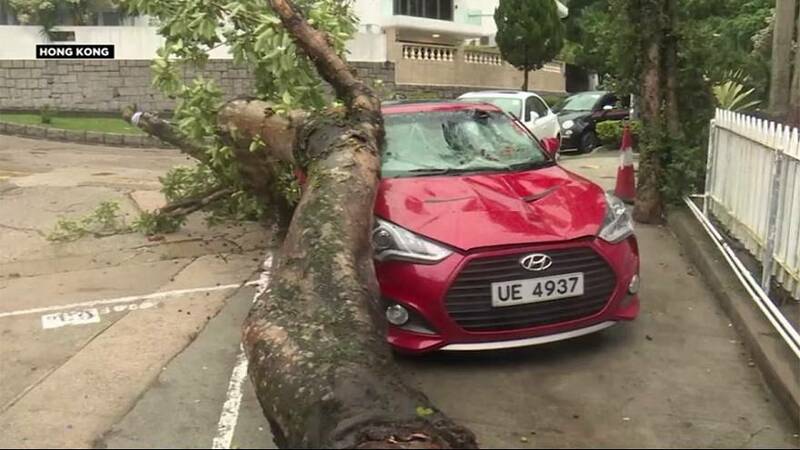 Typhoon Haima, measuring eight out of ten on the authorities’ severe storm scale, shut down Hong Kong on Friday morning closing schools, businesses, stock markets and offices. The city’s streets were deserted as nearly 200 trees were blown down by wind gusting at more than 100 kilometres an hour. A fifty year old man was reported dead after falling and hitting his head on a rock by the seafront and between 8 and 12 injuries were also reported. At the airport over seven hundred flights were cancelled and the city was estimated to have lost more than half a billion dollars in revenue. In eastern Taiwan low lying roads were flooded as heavy rain hit. Meanwhile in the northern Philippines people began returning to their homes after Haima, the strongest storm in three years hit them. It left a trail of destruction that killed at least 12 people after triggering flooding, landslides and power cuts. Evacuations of high-risk communities helped prevent a larger number of casualties the authorities said.